The year 2015 is very important for SKCS. 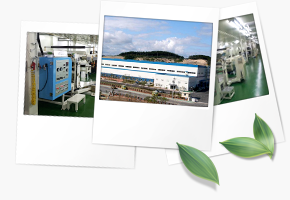 As 2nd factory has completed, now is the time for us to bear fruit of continuous R & D and marketing by constructing a manufacturing base of an optical film and the functional film for electronic materials. As a result, we will establish a solid foundation for the growth of a global company in 2015. In addition, we will become a strong and reliable company through a conceptual shift and continuous innovation. I believe only these “growth and innovation” continue to grow our company’s corporate values ? ?and a way to secure a foundation for future growth. Also, I’m sure this is the only way that we can be loved by customers and grow into a sturdy company recognized in the world. Be loved all the members of the SKCS family and customers! We will now create a new decade based on effort and enthusiasm over the last 10 years. In addition to this, we will jump up to be a leading company in the world through continuous innovation and strong competitiveness in the future. I feel the vision and happiness because I’m with you.